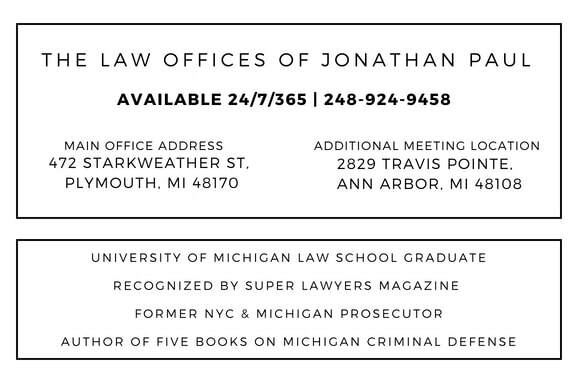 Starting in 2003, a person convicted of drunk driving in Michigan, may be required as a condition of probation to have an approved ignition interlock device installed on any vehicle the defendant drives. 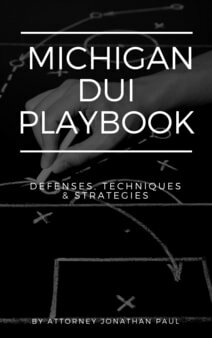 The ignition interlock is mandatory on a Michigan Super Drunk offense if the driver wishes to operate on a restricted license after 45 days. This interlock would need to be on the vehicle for all 320 days of restricted driving. The Secretary of State is also required to revoke the driver license of a Habitual Offender and deny his or her application for another license. This would apply as a second of third offender of drunk driving. After the minimum period of revocation/denial, a Habitual Offender may be eligible for a driver license appeal hearing. If a restricted license is ordered, the hearing officer must require that the Habitual Offender install an ignition interlock device on any vehicle he or she owns or intends to operate. The person cannot drive until the the interlock is properly installed and proof of installation is presented to a local Secretary of State branch office. A judge would also have discretion to order an interlock as part of a bond condition or a sentence. The ignition interlock is a breath alcohol analyzer, with computer logic and an internal memory. It connects with a motor vehicle's ignition and other control systems. The ignition interlock measures the driver's bodily alcohol content , and keeps the vehicle from starting if the BAC is .025 or higher. The device will also ask for random retests while the person is driving, which are called rolling retests. If the interlock device records 3 start-up test failures in a monitoring period, or 1 rolling retest failure, or if it detects tampering, the vehicle must be taken to a service center immediately. If that service is not done, the interlock will go into a "lock-out" mode, and the vehicle cannot be operated. Test failures, tampering, or other BAIID-related violations will result in an extension of the time before the driver can ask for another driver license appeal hearing, or may require that the original license revocation/denial be reinstated. This is an expensive device to have installed and maintained. Judges will not discriminate between positive results of a family member vs. yourself; if your brother uses your car, and he blows a positive result into the machine before operating, the court will most likely find you in violation of your probation. If you don't own a vehicle or your vehicle is immobilized for a period of time, you must make sure your attorney advises the court that you should not have to pay for the ignition interlock during this period of time. As a High BAC offender, you will be eligible to ask for permission to remove the interlock 1 year after the beginning of your original license suspension if you have not violated the terms of your driver license restrictions. You must include a report(s) from your interlock vendor(s) to the Administrative Hearings Section with your request for authorization to remove the interlock device. - Instances of interlock test samples with a BAC of .025 or higher. - Convictions for operating a vehicle without a properly installed interlock device. - Evidence of tampering with, or circumventing, the interlock device. - If your request is approved, you must take your Order Authorizing the interlock device removal to your provider before the device can be removed. If no other license sanctions are in effect, you may take the Order Authorizing the removal to a Secretary of State branch office, pay the reinstatement fee, and return to full driving. If you have your provider remove the interlock device without Secretary of State authorization, the provider is required to report the removal to the Secretary of State. This may be treated as an unauthorized removal, and may result in driver license sanctions.